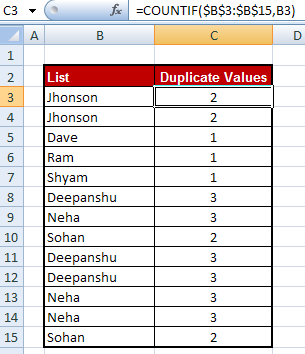 This tutorial explains how to select and count duplicate values in Excel. Apply filter on column C and uncheck 1. It filters duplicate values. 0 Response to "Excel : Select and Count Duplicate Values"